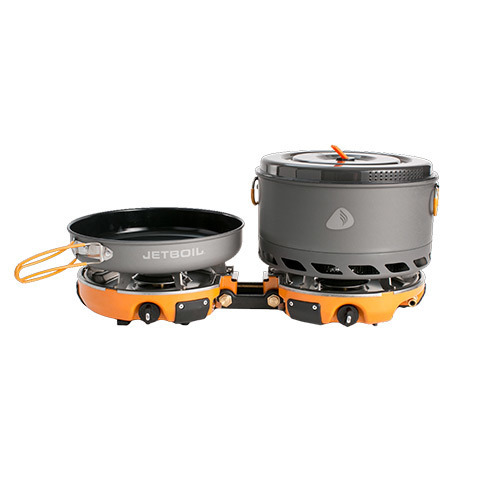 The Genesis Cook System from Jetboil will revolutionize the way you eat while camping and backpacking. With the ability to boil water, and fry things at the same time this propane cook set will seriously cut down the time it takes to get your meals prepared. And with its' convenient nesting design and carrying case you won't need to sacrifice a ton of space or weight in your bag. Attention: Jet Boil products can be shipped only within the United States.